Vivo Mobile Phones Prices in Pakistan. Vivo Y95 Price in Pakistan is available on Pricealert.pk with updated full specs and Features and you can buy from Online Shops in Pakistan. 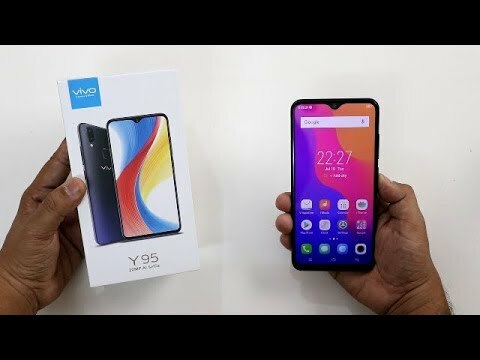 Vivo Y95 release/launch date in Pakistan is November 2018. You can also get the full information with Review & Unboxing just on Price alert.pk. After Vivo propelled the Y83 arrangement in May 2018 and Y83 Pro in September 2018, now the Chinese cell phone producer will dispatch the Y95 arrangement in November. The Y Series possessed by Vivo is well known for its total highlights however the cost is as yet moderate. Find the lowest Vivo Y95 Mobile Price in Pakistan on Pricealert.pk. In this manner, Y arrangement was made as a working-class cellphone. As far as photography, this phone does not have a double camera like another yield cellphone today. Y95 mobile is furnished with a 13 MP + 2 MP raise the camera and 20 MP front camera with AI Makeup highlight and magnificence settings impact. Find online stores for Vivo Y95 in Pakistan like Olx, home shopping & Daraz. For security, this phone has a unique finger impression scanner on the back and furthermore bolsters key with a face sensor. This phone is bolstered by the MediaTek Helio P22 chipset which is joined with 4GB RAM and 32GB interior stockpiling which can be extended with microSD up to 256GB. At that point, the Y95 was additionally worked with Android Oreo 8.1, the FunTouchOS interface and was fueled by a 3,260 mAh battery. Compare the Vivo Y95 Price in Pakistan 2018-2019 at the lowest rates. This product is available in Ishopping, Mygerrys, Daraz, Shophive, Mega. At ishopping.pk you can purchase Vivo Y95 64GB Dual Sim Starry Black for only PKR.32,199, which is 3% less than the cost in Mega (PKR.33,299). The lowest price of Vivo Y95 4G Mobile 4GB RAM 64GB Storage Price in Pakistan, Specifications, Features, Reviews was obtained on April 1, 2019 6:37 am.